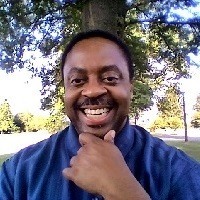 My name is Alonzo Brown and I'm the Founder, Owner and Admin of the Virtual Downline Builder! I absolutely love IBO Toolbox and the wonderful people here. I use IBO Toolbox to share with entrepreneurs around the world my Free Virtual Downline Builder. Virtual Downline Builder can truly help you earn a full-time income from your home, and achieve your goals and dreams. I invite you to click the banner below & signup as a free member in my Virtual Downline Builder! Multiple Income Streams and Residual Income! !